Rather than responding honestly to a difficult question, the Prime Minister appears to have engaged in some creative accounting. How do you spot a deadbeat government? Well, a good indicator is when it does not respond with a reasoned argument but instead seeks refuge in numbers that are almost impossible to corroborate. One such event occurred yesterday in the House of Commons during Prime Minister’s Questions. Labour leader Jeremy Corbyn focused on the shortcomings of the government’s policies on curbing tax avoidance. 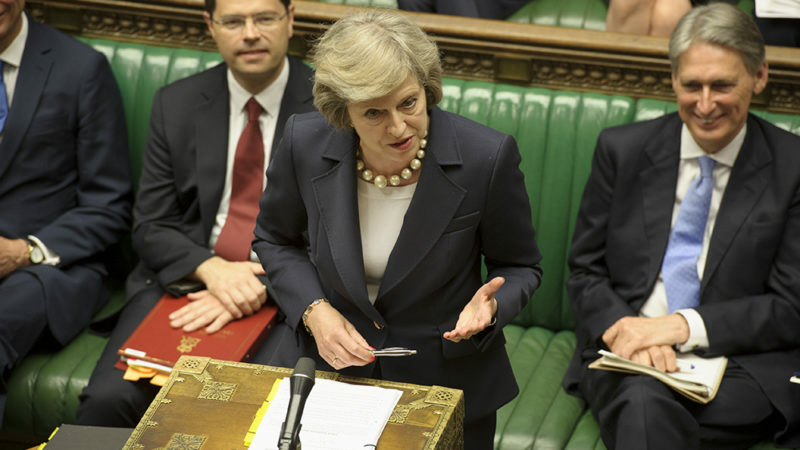 Rather than engaging with the arguments, Prime Minister Theresa May responded by throwing around figures. One of her claims was that the government has raised an extra £160bn through extra compliance measures taken since 2010. Is that so? HMRC’s most recent annual report is for the year to 31 March 2017 and shows that it collected taxes of £574.9bn. The tax yield for the year 31 March 2010, just before the Tories came into office, was £435.1bn. This suggests that total tax revenues increased by nearly £140bn. But that is not what the Prime Minister claimed. The Prime Minister appears to have engaged in a bit of creative accounting to conjure up a figure of £160bn. This can be illustrated with an example. Suppose in 2011 HMRC successfully challenged various tax avoidance schemes and/or the government introduced legislation to close some tax loopholes. Let us assume this theoretically raised £4 billion of additional tax revenues. The revenues would be raised in the year 2011 and could recur in 2012, 2013, 2014, 2015, 2016 and 2017 i.e. for seven years. So the government would say that it raised £28bn (£4bn X 7) of additional revenues by clamping down on tax avoidance, compared to the 2010 base. This multiple counting can be applied to each successful tax litigation and legislative measure to arrive at the theoretical amount cited by the Prime Minister. Back in July 2014, the government claimed that between 2010 and March 2014, it introduced 42 legislative changes, HMRC secured victory in 94 tax avoidance court cases and it also introduced a number of other measures. These measures, it claimed, raised £23.9 billion of additional tax revenues. If the additional amounts were sustained in 2015, 2016 and 2017 as well, the government could claim that the pre 2014 measures cumulatively generated £95.6bn (£23.9bn X 4) of additional tax revenues. The measures since 2014 would augment the amounts to provide the phantasmagorical amount of £160bn. The legislative and other measures invite behavioural changes and do not necessarily yield the expected tax revenues. For example, in 2011, to combat tax evasion through Swiss banks, the UK reached an agreement with Switzerland. Under the agreement funds anonymously held by UK taxpayers in Swiss banks were to be subjected to an additional levy. This levy would be paid over to the UK. The Chancellor claimed that this measure would raise £5bn. Let us assume that the additional revenues rose at a steady rate over a 5 year period to reach the target of £5 billion i.e. reached £1 billion in year 1, £2 billion in year 2, £3 billion in year 3, £4 billion in year 4 and £5 billion in year 5. In Theresa May’s formulation the revenues raised from this measure would be £36bn (i.e. (£1bn x5) + (£2bn X 4) + (£3bn X 3) + (£4bn X 2) + (£5bn X 1)). “HMRC originally forecast that it would collect £5.0 billion revenue from the UK-Switzerland tax agreement by March 2016. Following indications from the Swiss government that the agreement is likely to raise much less than originally expected, the Department revised its estimate and, in Autumn Statement 2013, it reduced the forecast of expected revenue to £1.7 billion by March 2016”. For the government to make the £160bn number stick it will have to provide evidence to show that each change achieved the targeted revenues. If not, what revisions were made, and show the actual amounts collected. The Prime Minister’s £160bn claim cannot be verified from publicly available data. It would be helpful to see a complete breakdown and analysis of the actual tax revenues arising from each measure and court case. As the Prime Minister insists on providing cumulative totals, it would also be appropriate to look cumulatively as the government’s failures. For example, the HMRC acknowledges that due to evasion, avoidance and other matters it failed to collect £34bn of tax revenues during 2016-2017. This amount is close to the average and on that basis the government has failed to collect £238bn of tax revenues during the seven years of its term in office. HMRC’s estimates are contested and alternative models claim that the amount of tax leakage is £119bn a year. On that basis the Conservatives have failed to collect £833bn (£119bn X 7). Hopefully, the government would also provide an analysis of the taxes that it fails to collect. Sure, I trust May: about as far as I can throw her.